This wonderful 2 bedroom, 1 1/2 bath townhouse condo has been recently upgraded and is in impeccable condition. It is located on the "golf course side" of the Ocean Edge Resort in Brewster, Mass., near the 9th tee of the course. It is situated in one of the quieter sections of Ocean Edge, has a private backyard, and has only 2 abutting townhouse condos in the building. The condo has been recently renovated with new floors in the kitchen, bathrooms and family room, and new countertops, sinks and vanities in the kitchen and bathrooms. The condo has cable TV, TVs in all living areas, and a secure WiFi. There are A/C units in all living areas. Billington Village is very close to Rt. 137, with easy and quick access to Rt. 6 (the main highway for the Cape). This ideal location is very close to the beach, pools, golf courses, and the Cape Cod Rail Trail Bike Path. The condo has everything you would need to live comfortably. A full kitchen has all the cooking ware, eating utensils needed and most pantry items needed, for those who want to cook. The family room has 2 sofas (including a full-size pull out bed), and an HD TV. In addition, there are various books and board games in the entertainment center for your use. There is a dining area, that seats 6 comfortably, adjacent to the family room. The outdoor patio abuts a nice, pleasant grassy backyard area, with woods in back of it, and with view of the golf course's 9th tee. The patio has an outdoor table suitable to seat 6, and there are both charcoal and gas grills for your use. There is a shed with lawn chairs, beach chairs, and outdoor games as well. The condo has enough sleeping space for 6 people. Upstairs, there is the master bedroom with a queen size bed and a slider for a window, with a nice view of the backyard. The front bedroom has two twin beds. Both bedrooms have TVs, and the one in the front bedroom has a DVD player. In addition, there is the pull-out sofa in the family room. The upstairs bathroom has a door separating a sink area from the shower/bathtub and toilet. Day passes to the Ocean Edge pools and fitness club are available for an additional fee of $20 per day for adults and $10 per day for children age 7-17. Children ages 6 and under are admitted free, accompanied by an adult. Weekly passes are $70 for adults and $30 for children ages 7-17. There are rentals available for bikes, kayaks and stand-up paddleboards (for use on Blueberry Pond), and other things for an additional fee. The passes do not include access to the Ocean Edge beach; however permits for a parking pass to park at the Brewster beaches can be purchased at the Town Hall for $20 per day, or $60 per week. Also, you can get a parking permit to Nauset Light Beach in Eastham for $20/day and $60 for an annual permit. The property is centrally located on Cape Cod, with so much to do. The Brewster town beaches and Nauset Beach (the National Seashore beach) in Eastham are accessible for a nominal fee. There are many ponds around for swimming and fishing. With the Brewster parking permit, you can swim, sun, or launch your boat at Long Pond. The Cape Cod Rail Trail Bike Path goes right by Ocean Edge, near the Rt. 6A entrance guard house on the golf side, and goes for several miles in both directions. For shorter trips, you can ride your bike, or walk, on the sidewalks and paths of the Ocean Edge property. Hiking and fresh-water fishing is great at Nickerson State Park, or enjoy nature on the Brewster Walking Trails. Several antique shops and art galleries are scattered all over Main Street in Brewster. The Brewster Store is a classic, old general store in the center of town, and still has store-roasted peanuts and penny candy! There are numerous restaurants in Brewster, Orleans, Harwich, and Chatham, and some of our favorites are listed in the blue binder on the credenza in our condo. Deep-sea fishing is available at Rock Harbor, Orleans, and Saquatucket Harbor in Harwich. We have always loved going to Pirate's Cove Golf Adventure for mini-golf in Yarmouth, but there are less-expensive mini-golf places right near the condo. Finally, there is excellent golfing at the Captain's Golf Course in Brewster. They have two, challenging 18 hole golf courses there, just 10-15 minutes from the condo. We love the Cape, and are always willing to discuss with you the various things to do. 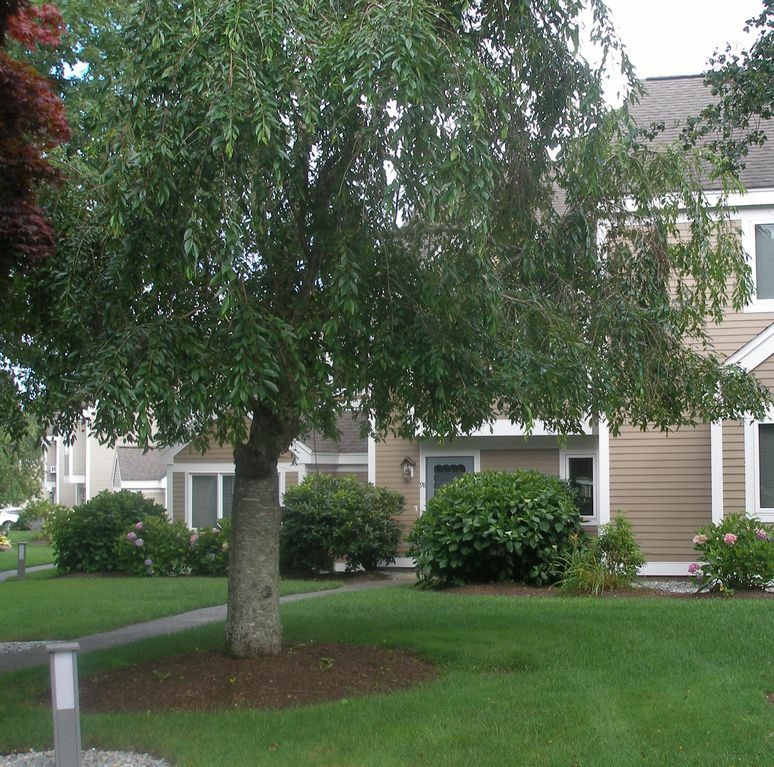 My wife and I are life-long residents of Southeastern Massachusetts, and live 1 hour and 20 minutes from the townhouse. We have 2 boys, who are 16 and 19 years old. My parents were living down at Cape Cod in Harwich when we were first married, 31 years ago. My wife and I always loved visiting the Cape, and especially the mid-Cape. We wanted to get our own property, so we could spend more time there with our sons. We had stayed at Ocean Edge at a friend's condo before, and fell in love with the resort. Then, we decided to buy our own condo, 98 Billington! We love the Ocean Edge Resort, and how the grounds are well-kept. We have always loved seeing the Mansion, even when the property was owned by the Fathers of La Salette, before 1985, and we thought about what a great piece of property Ocean Edge bought, going down to the ocean. We are the third owners of this condo, since 1986. We really love the access to everything around the area, such as the stores on Main Street in Chatham, the antique shops in Brewster, and the good restaurants all over the area. You can go to the Chatham Harbor where they take in fish and lobster caught that day. Just up the road is the Chatham Lighthouse. Except for places like the Cape Cod Mall, and a few other isolated areas, there are no chain restaurants or retail stores, which makes the Cape a special place. Everything is so close, and we are close to the ocean on both the "bay side" and the "ocean side," and the beaches are real nice. There are so many good restaurants around, both casual and not-so-casual. There are many ice cream shops around the area as well. The golf at Captains' Golf Course in Brewster is challenging and exceptional. Cranberry Valley Golf Course in Harwich is nice too. We love driving around to look at the house architecture and the scenery. There are only so many main roads in the area, so you really can't get lost! It is just a wonderful area of the state, and of the country. There is always something to do and explore, and you will have wonderful memories of your stay, and will want to come back. We have spent many years coming to the Cape and love the Ocean Edge property. Our blue binder in the condo, and information on this website, will guide you to many things that we have enjoyed down the Cape, creating so many memories. The living space of the condo is in great condition, because we maintain it, and we live in it! We spent enough time at the Cape and Ocean Edge to know what we wanted for our condo. We have a private backyard, that isn't backing up to other condos. Our patio has a view of the golf course, but it is not so close that we have to worry about golf balls hitting our patio or condo. Our bedrooms are on the 2nd floor, so you won't have someone coming into the parking lot at night with their car lights blaring into your bedroom. We have recently renovated the condo to put in nice floors, countertops, sinks, etc., and the place is impeccably painted and decorated. Access to a main road (Route 137) is quick and convenient compared to properties in the middle of the Ocean Edge complex. It is just a really nice place to relax, and use as a springboard to do so many things down at the Cape. There is easy access by car to both the "bay side" beaches in Brewster, and the "ocean side" beaches in Orleans, Eastham, Chatham and Harwich. The condo is on the "golf side" of the Ocean Edge Resort, and has easy access to the "ocean side," where the Ocean Edge Mansion is situated. This townhouse has a patio that overlooks a common grassy area, and has a view of the 9th tee at the Ocean Edge Golf Course. The backyard is quiet and peaceful, without other condos in back of it. Most items that one would want, such as coffee, tea, salt, pepper, creamer, sugar, ketchup, mustard, salad dressing, vinegar, olive oil, steak sauce, etc. Checkers, cards, board games, Legos, blocks, etc. Private backyard with nice wooded area behind it, and view of the golf course's 9th tee. We loved staying at the property. Very clean overall with a great amount of space for 3 children and 3 adults. This is in a great location as well. The owners were extremely pleasant as well. A very nice condo in Ocean’s Edge Resort in perfect and private location. Our family of four enjoyed our stay in this very clean and updated condo. There’s plenty of space including a nice patio. The condo has all the comforts of home. We paid the additional resort fees to make use of the pools—well worth the money in order to take full advantage of all that Ocean’s Edge has to offer. We especially liked that the Cape Code bike path runs right through the resort so it was easy to make the most of an overcast day and ride to the Coast Guard Beach. David is a very gracious host and made sure we felt welcome and comfortable. We would stay here again. Comfortable, clean and modern. Pleasant, quiet property. Convenient location to Cape attractions. Brewster is charming. Nice shops, restaurants everywhere. Close to bayside beaches and an easy drive (@45 min) to beautiful National Seashore! Lots of outdoor activities available, too! We spent the weekend at David's wonderful Cape Condo located in the Ocean Edge resort. The resort grounds are beautiful and well maintained. For an additional fee, you can have access to the resort amenities such as the pool and recreation center. The condo was easy to find and very clean. It was great to have an outdoor space! We had our hearts set on eating lobster rolls so we did not get the opportunity to use the grills/ cook in the kitchen but it was fully stocked with everything you need to put a meal together. David was a great a host/ resource as he provided us with several idea's for restaurants and beaches. He was very responsive and quick to answer any of our questions. We would love to come back to the condo next summer!